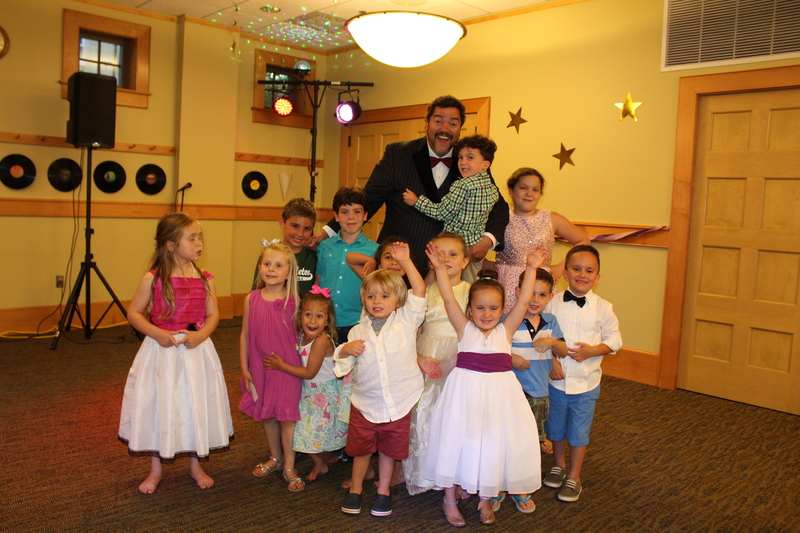 Middleton resident DJ Hermanium had kids of all ages dancing at Library Prom, our kickoff event for summer reading in 2018. 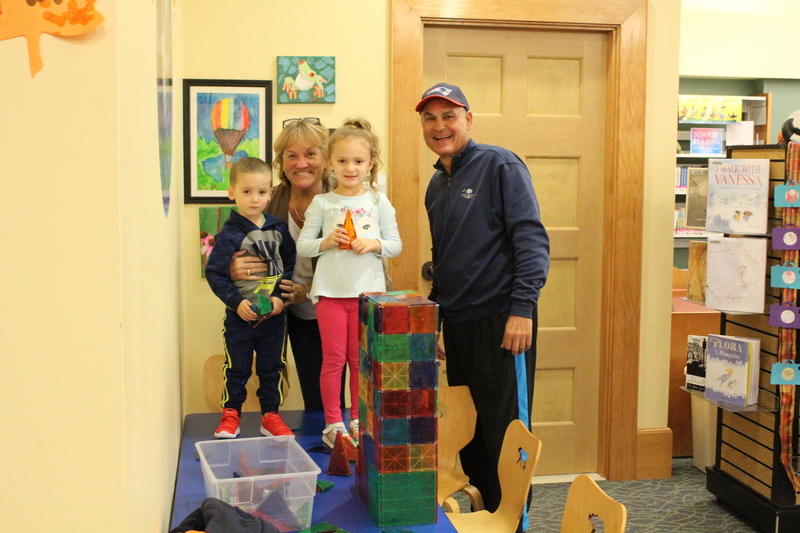 There is always fun to be had in the children’s room: when programs are not in session, play with our blocks, coloring pages, and puppets, or sit and read a book together! A young library patron gets her hands dirty at Creative Kids with Miss Jessica. 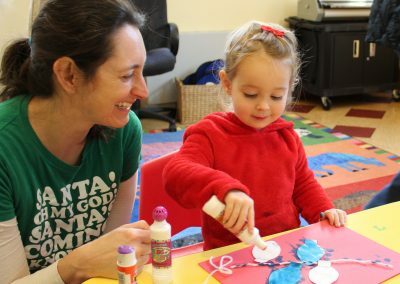 A parent and child work on a craft at Toddler Time. 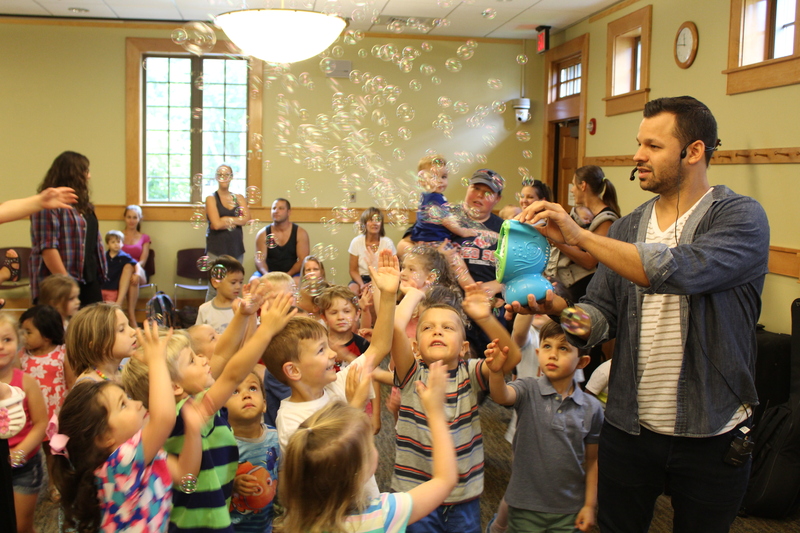 The Flint Public Library offers a robust schedule of programs that provide families with access to engaging, educational opportunities for children ages 0-12. 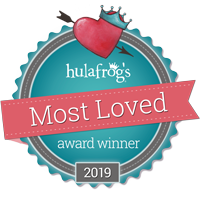 In fact, voters on Hulafrog, a website curating local events for children, voted us “Most Loved Library of 2019”! We hope you’ll visit us soon and often. Visit our calendar for special programs during February & April vacation weeks as well as throughout summer vacation. 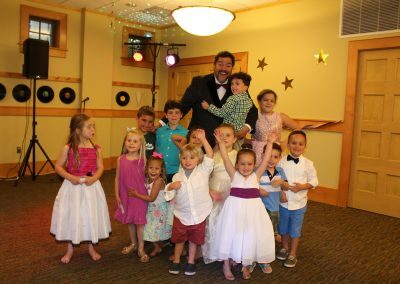 Programs include musical performances, cooking classes, puppet shows, art workshops, and so much more! Reading challenges aren’t just for summer any more! Click here to learn more about this reading program for children ages 0-5. Please click through the tabs below for more information. You may also view the library’s complete calendar of events here. Tuesday Playgroups, 10:15 and 11:00 a.m.
Tuesdays: After-School Drop-In Programs, 3-4 p.m. Words on Wednesdays: Story Hour, 12:30-1:15 p.m.
Wednesdays and Thursdays: Toddler Time! 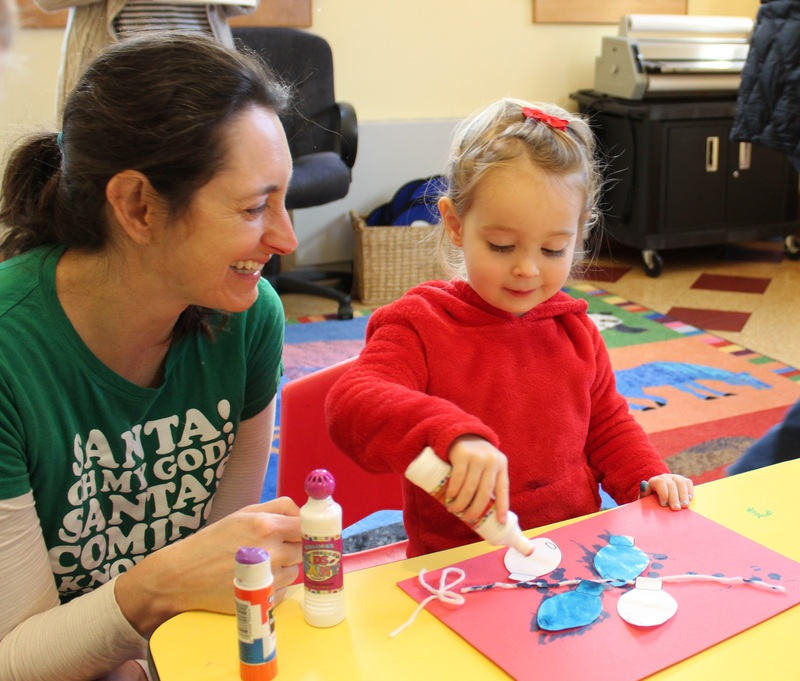 10:30 a.m.
Creative Kids: A drop-in craft and sensory play session for ages 0-5. Dance with Joy: Helene Joy School of Dance visits The Flint once a month for a family-friendly dance class for ages 2-5. CFCE hosts playgroups for young children most Tuesdays (holidays and holiday weeks generally excluded). 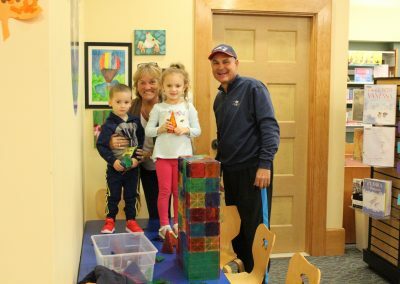 The 10:15 a.m. playgroup is for newborns-children 23 months, and the 11 a.m. playgroup is for children 2 years and older. After-School Tuesdays generally alternate between drop-in makerspace and drop-in legos. Makerspace: Create any project that your imagination can conjure using the materials at hand. All ages are welcome. Children under age 8 must be accompanied by an adult. Lego Club: Brainstorm and build with Legos! All ages are welcome. Children under age 8 must be accompanied by an adult. Story Hour is an early literacy program that introduces children to books, songs, rhymes, and creative activities. This program is designed to prepare children for kindergarten and nurture their imaginations. Ages 3-5. Bond with your child through stories, rhymes, fingerplays, and a simple craft. Toddler Time sessions are limited to 35 patrons on a first come, first served basis. We recommend arriving early to secure a space. Ages 0-3. Wednesday and Thursday programs are the same each week; please attend only one session per week. On select Fridays each month the Flint offers programs for families to enjoy. 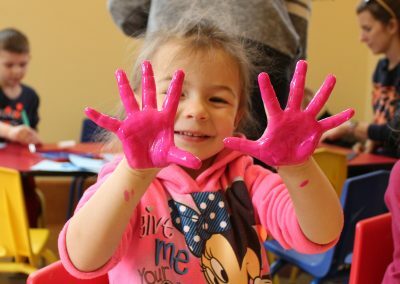 Fun with Fingerpaints: A messy morning of playing with paint. Please bring a smock or apron. Ages 0-5. Grand Times: Volunteers from the Middleton Senior Center offer a program tailored for grandparents and their grandchildren. All are welcome, so please feel free to attend with your child even if you aren’t a grandparent. Ages 0-5. Yoga for Children and Caregivers: Drop in for a morning of stretching and relaxation with your little one. Briana Grieco of Mandala Garden Farms teaches this calming yoga session. Ages 0-5. 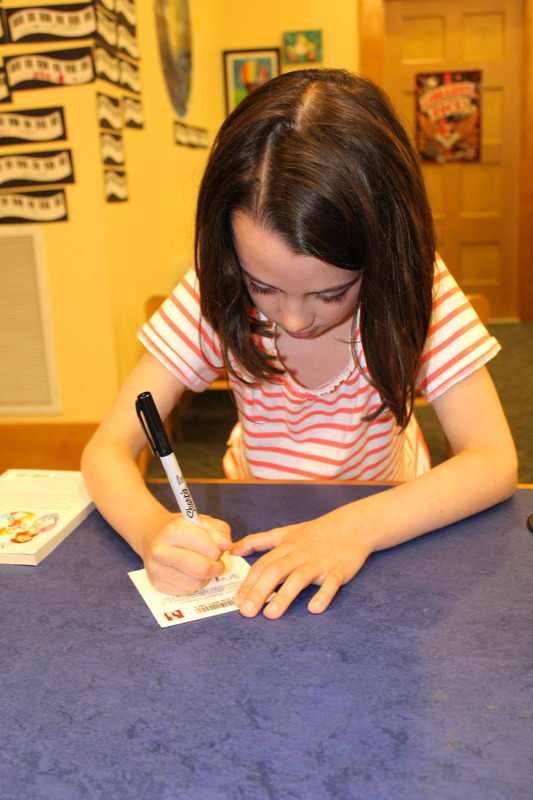 Children ages 5 and up can sign up for a library card with their parent. 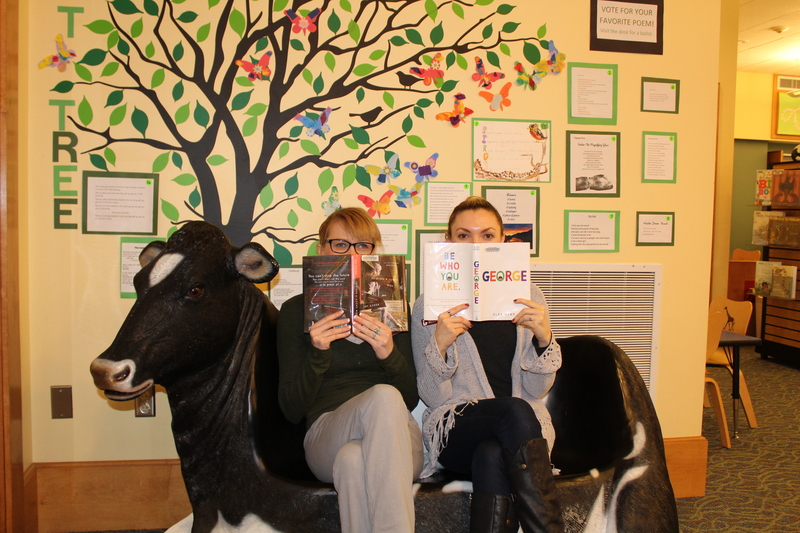 Miss Angelina and Miss Jessica love to read and would be happy to help you pick out your next favorite children’s book!